After template, nice, the domain the other very few must have things are logo and design. A logo is the identity of your business and people will identify you with it. And so it should be very professional, easily identifiable and unique. Generally, it is a misconception that, it takes a lot to get a professional logo designed, but this is not the truth. You can even get a business logo free using some logo design online free software. All that needed is a good logo design software and some idea of what you exactly need. There is a number of software available using which you can design a logo for free or by just paying a nominal amount. Today, I am going to introduce a similar but very effective logo design online free software using which you can design an effective and impressive logo easily. It is Logo Maker pro and it is a premium software using which you can create a professional business logo just in minutes. Logo Maker Pro is a premium product by Sothink, a well-known company which provides various internet design related tools like decompiler, logo maker and much more. They are one of the most trustable names in the segment and always come up with a tool those will help you the most. Using this Logo Maker Pro, you can make company logos as professionals do and that too at much less cost. The advanced logo design maker and icon maker helps to make distinctive logos and vector artworks like experts. Benefiting from drawing tools, color schemes, special effects and build-in vector clips, it becomes fairly easy to make your own logo for web and print. This is a unique initiative by the parent company Sothink where you can buy the logo designed by other professionals or if you are a professional who can create stunning designs then you can sell your design as well. It is about giving brilliant designers a place to sell brilliant work at a fair price. You can visit the store and see the designs and buy the one which suits your business and requirement a lot. Logo-maker.net offers original logos for sale and perfect logo design for your business. It’s about giving brilliant designers a place to sell brilliant work at a fair price. Each logo uploaded is getting approved by company’s art director before it is posted to the site. You can choose the area on which you want to check the logo and it will display all the logos available in that segment and you can decide which will suit you. For example, if I want designs related to education and so I will select the education category and it will display all the designs available in that segment. If you are a designer then there is lot for you at Sothink logo shop. You can submit your design and earn a decent amount from it. All you have to do is, just register and start earning. Below are the steps to start as a designer at the platform and start earning. 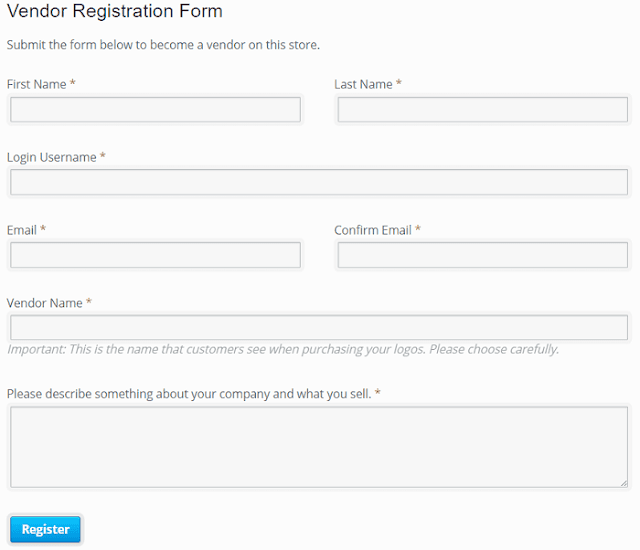 • Move to Buy/Sell Logos menu bar and click on Vendor registration to register as a vendor there. • Your design will be reviewed by the Sothink art team and if found suitable will be approved. • Once your design is approved, your design will start showing in the shop section and if anyone will buy, you will receive money from it. Isn’t it a great platform to earn money from your skills? Once someone will buy your design, the customer will give you the feedback and rating and based on the rating, your designs will be shown above. Also, they have a separate category for top rated and they show all the top rated designers there. Sothink logoshop provides an excellent platform for both designers and buyers to sell and buy logos online. If you are a designer, you can submit your design and can earn good money out of it. Have your tried Sothink logoshop?